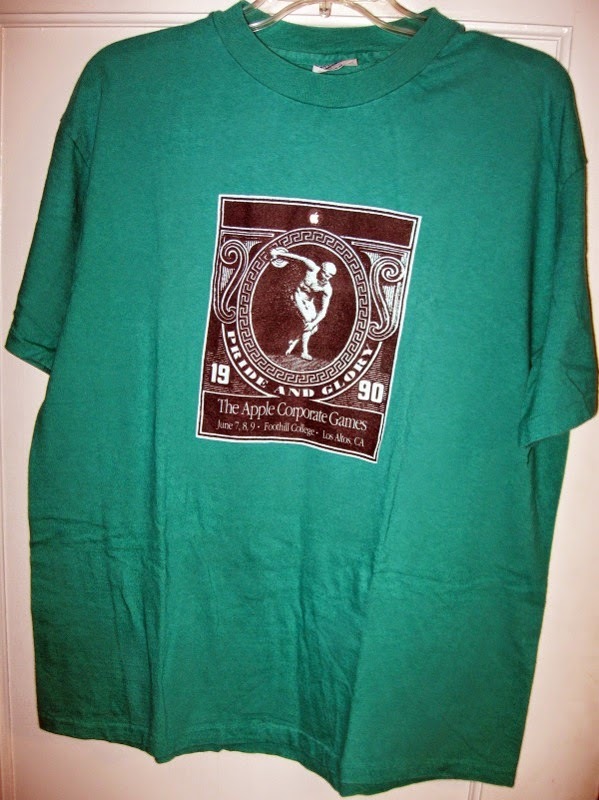 For sale is a 1990 Apple Corporate Games promo t-shirt. 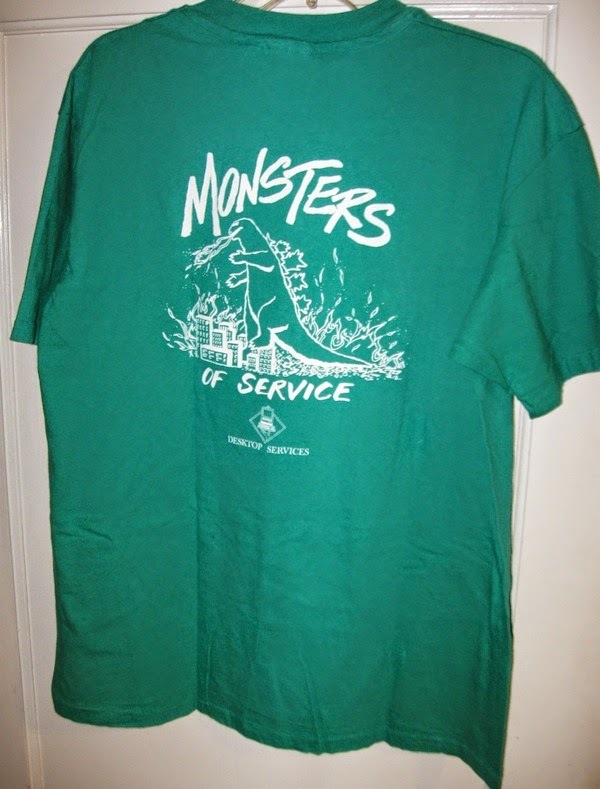 It features Godzilla graphics on the back (right) and they were made exclusively for employees of the Desktop Services group. These shirts were only given to internal participants of the employee games and were never available for sale. The shirt is shown on page 168 of the Apple T-Shirts Book. 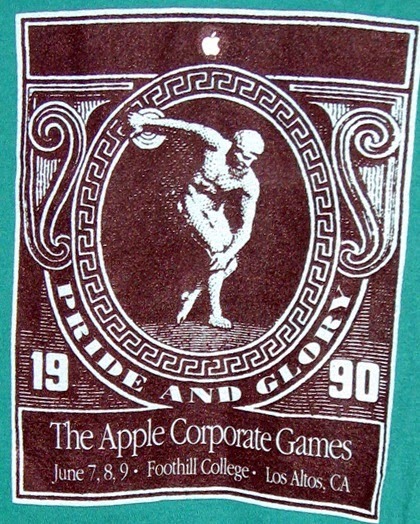 The annual Apple Corporate Games were held at Foothill College in Los Altos. It is from the collection of a 20 year Apple employee. This size XL Hanes Beefy-T 100% cotton shirt was made in the USA. It has probably been washed at least once but is still in perfect condition and is quite rare. It is priced at $65 with postage at cost. There are other Apple T-Shirts Book shirts available, click the label below.